(Bloomberg) -- Theresa May and the leader of the opposition Labour Party are both facing battles within their own party over another referendum, as they try to forge a deal on Brexit that could command a majority in Parliament. Officials acting for the two leaders will continue with intensive talks Friday following four and a half hours of detailed discussions Thursday. 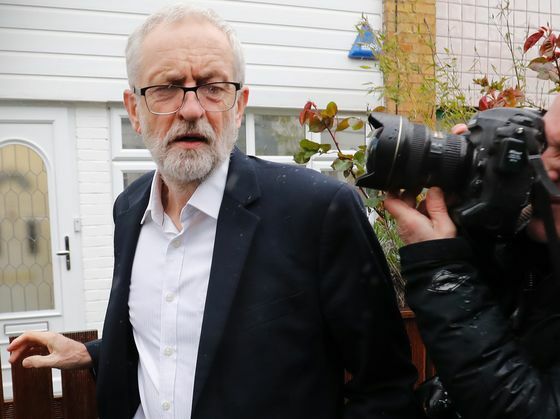 While the prime minister’s own cabinet is split over whether she should remain open to the possibility of a public vote on a deal, Labour leader Jeremy Corbyn is facing pressure from within his parliamentary party to backtrack on his promise of another vote. With her options dwindling, May is desperately seeking to get an agreement through Parliament that would allow the U.K. to leave the EU without having to take part in European elections next month. Unable to convince her allies to back her own deal -- Parliament has rejected it on three separate occasions -- she’s turned to Corbyn for help. May will write to European Council President Donald Tusk on Friday seeking a further delay to Brexit, a U.K. official said, speaking on condition of anonymity. According to an EU official, Tusk is proposing to offer a one-year extension with the option of leaving the bloc earlier if a deal is approved. 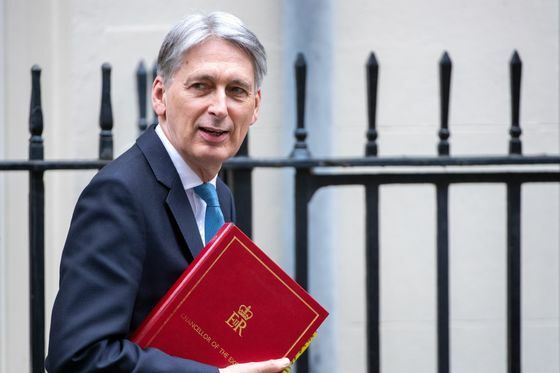 The idea, which has already been floated on both sides, would mean the U.K. has until May 22 to get a deal done to avoid holding the European poll. A second EU official said, though, that there are different views among members states over the length of extension the bloc should offer. Both officials spoke on condition of anonymity because the discussions are private. The idea of a confirmatory referendum -- in which the public could vote to endorse or reject the exit agreement with the European Union -- is one of a number of proposals on the table following Thursday’s talks between May and Corbyn aimed at thrashing out a new blueprint for Brexit. For his part, Corbyn is also facing a party split over the issue. A group of 25 Labour MPs, representing about 10 percent of the parliamentary party, on Thursday urged him not to request a referendum in his talks with May. But his Foreign affairs spokesperson, Emily Thornberry, is leading calls for a public vote, backed by Baroness Shami Chakrabarti, his top legal spokesperson. While offering the promise of arriving at some cross-party agreement that can get through Parliament, May’s decision to reach across the aisle has also stoked fury among her Conservative Party colleagues. She’s facing a backlash from pro-Brexit ministers, who regard with horror the idea of asking the public to vote again on Brexit, according to the people, speaking on condition of anonymity. Pro-Brexit Tories, set on their vision of a clean break with the bloc have also repeatedly criticized May for opening the door to Corbyn’s vision of a so-called soft Brexit. The EU already agreed to extend the Brexit deadline once, from March 29 to April 12. To get another short extension, May will need to “provide clarity” to the other 27 leaders at the summit on April 10 on how she plans to move forward. Ahead of those talks, German Chancellor Angela Merkel on Thursday vowed to try and avoid a no deal Brexit. 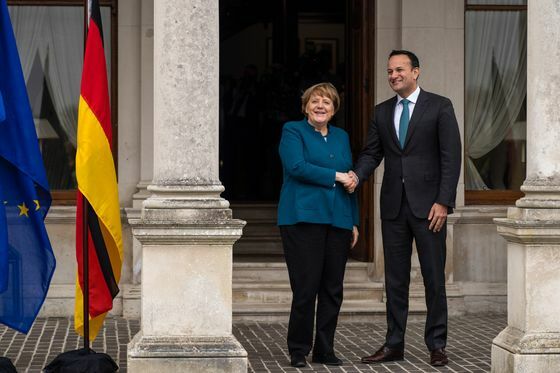 During a visit to Dublin to meet with Irish Prime Minister Leo Varadkar, she said she hoped May would make an offer to the EU next week, adding that an orderly Brexit is crucial. If cross-party talks with Corbyn collapse, May has promised to give Parliament another set of options to vote on. Though two rounds of so-called indicative voting in the past fortnight have so far failed to deliver a majority for any scenario.